Mount Batur Sun Rise Trekking is to explore the active Mount Batur volcano one of the sacred mountain combine with swimming at Toya Devasya Hot Spring Swimming Poll. 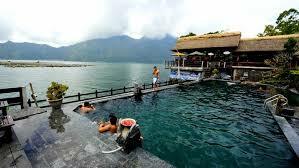 Our Bali driver will pick you up 02.00AM at your hotel lobby then take you to Kintamani. Very early in the morning, around 04.00 o’clock we will go down to the volcano foot to start climbing accompanied by an experience trekking guide, at half way up, we’ll take a rest briefly and around 06,00 AM we will reach the top just in time to see the beautiful sunrise over mount Abang and mount Agung, and on clear days it is also possible to see mount Rinjani in Lombok. 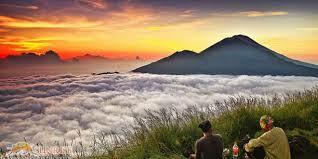 While enjoying the sunrise, we will have our simple, breakfast with our special volcanic steam egg's.